The enormous power of our QE441 scalper has been proven across a variety of applications worldwide. 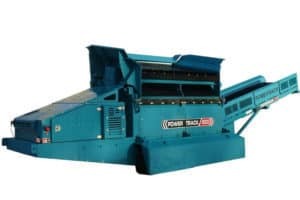 The fines conveyor alone is designed to handle up to 900TPH, making this unit an essential scalper for your operation. 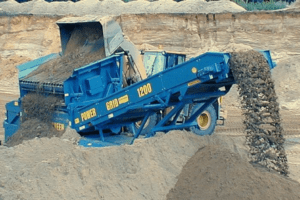 We have designed the QE441 to best suit your requirements and this unit includes a heavy duty I-beam chassis, apron feeder, reinforced hopper doors and impact bar lined overs conveyor all equipped as standard. 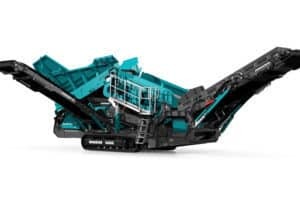 Our QE441 can accept the most robust of infeed material and is best suited to your large quarrying, mining or recycling applications. 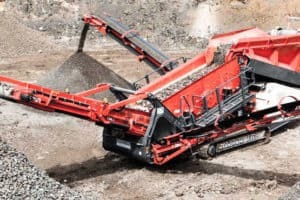 It can also work as a stand-alone unit feeding a primary crusher.